Rafeeda is not a stranger to many of us in the blogging world. Her blog, The Big Sweet Tooth, is one stop for all kinds of recipes, particularly sweets! I love her blog write-ups, especially the way she talks about life and spirituality. Our chit-chatting started over some cake discussions and from then we have bonded really well. She is so humble and sweet and what I admire most about is that she always has time for friends no matter how busy she is. I'm glad to have a friend like you dear to whom I can talk my heart out. So when she asked me to a guest post, I immediately agreed, but oh yes I did take my own sweet time! Since you love desserts, I made this sakkarai pongal for you. 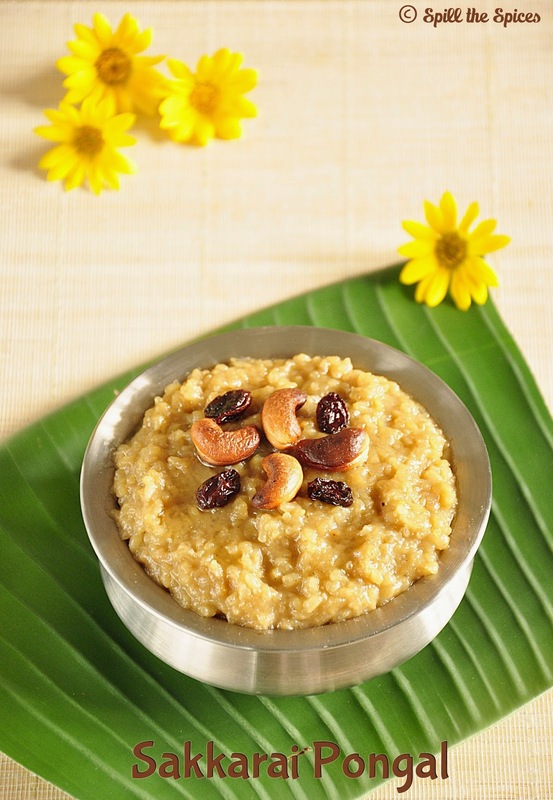 Sakkarai pongal / sweet pongal is a sweet made with rice, moong dal and jaggery. 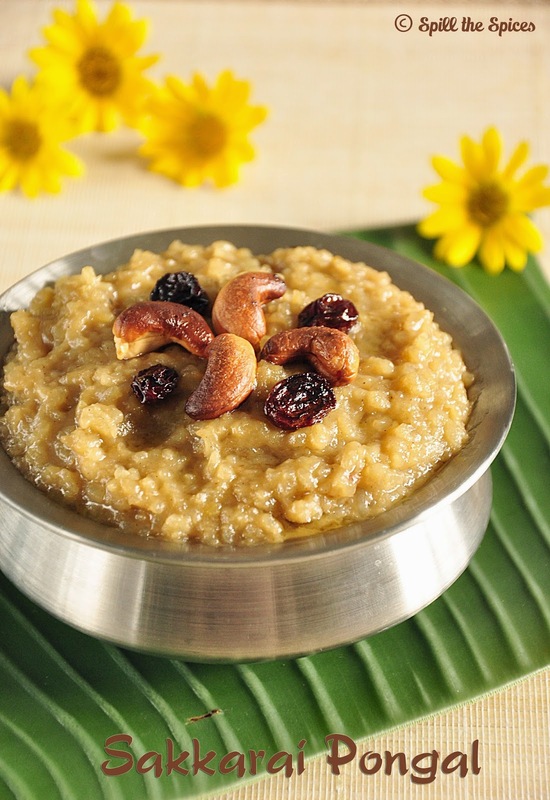 Sakkarai pongal is specially made as a offering during Pongal festival in Tamil Nadu. New painted clay pots are traditionally used to make this sweet during the Pongal festival. The milk is allowed to boil over signifying prosperity for the household. On regular occasions, you can adopt the easy method of cooking in a pressure cooker. Thank you Rafee for inviting me do a guest post in your blog. Hop over to Rafeeda's blog for the recipe. The picture looks so tempting...perfect post for rafee akka's blog...will check there! Sakkara pongal looks yummm as usual great presentation. It was a pleasure having U on my little space... Thank you so much for that delicious looking bowl!